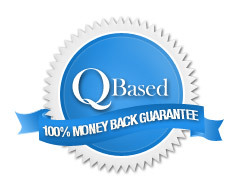 Lice Treatment :: Shop.Qbased.com :: Effective products to treat head lice, body lice, and body lice in your home. Click on the Product Picture to Learn More - AllStop Liceadex Head Lice Treatment & Nit Removal Gel 4 oz:: Treatment for One Person with shoulder-length hair. Easy one step head lice treatment system. No oils or mess. Finish treatment in 20 minutes! Great for busy parents. Rinses out completely and no pesticides. Click on the Product Picture to Learn More - AllStop Liceadex Head Lice Treatment & Nit Removal Gel 16 oz :: Family Size - up to 4 people and 2 treatments each. Comparative shoppers know this is a great deal for an awesome product. Click on the Product Picture to Learn More - AllStop Liceadex Lice & Nit Removal Gel 128 oz :: Commercial Size for up to 64 treatments of average shoulder length hair :: Shop.Qbased.com Click on the Product Picture to Learn More - Liceadex Lice & Nit Removal Gel - 4 oz Twin Pack :: Treatment for 2 people with shoulder length hair. "We had been fighting head lice for 3 weeks, we tried nix, olive oil, Vaseline, coconut oil, tea tree oil , everything on every site we could find and then we found Liceadex, I washed my daughters hair that night and she was in school the next day. I merely put it in for the 20 minutes and then combed it out with a lice comb and rinsed. This product is great." "I was having some terrible head lice issues with my kids and it had been on going for years, but this last time we were getting re-infestation issues and we treated for lice 5 times since February It was only August!I have four daughters with unbelievably thick hair and for me to do a treatment required almost a full week of work to eliminate every nit, wash every sheet, cover all the furniture. I even toyed around with the idea of giving them all a Buzz cut to get rid of these things! I tried your Liceadex in a fit of desperation, I was near tears! I love the product, love not picking nits or pulling through every strand of hair! I waited over a month to write in because with our passed experience I had my doubts anything would really work. I'm so happy that it did! I love the home remedy that you sent when I placed my order too, and now I have every confidence in the world we will never again be dealing with those little disgusting bugs!"